Are Private Student Loans Worse Than Credit Cards? 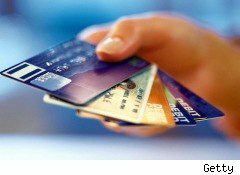 Liz Weston, MSN Money personal finance columnist and author of Your Credit Score: Your Money & What's At Stake, recently tweeted that paying for college with private loans is a lot like using credit cards -- only worse, because you can't discharge the debt in bankruptcy. According to FinAid.org, "More than $100 billion in federal education loans and $10 billion in private student loans are originated each year." It's hard to calculate an exact figure for private student loans -- bank loans for education that aren't backed by the federal government -- because the market is fragmented and lightly regulated. Under the current law, neither federal nor private student loans can be discharged in bankruptcy, and private loans generally have variable interest rates (which can be time bombs in a rising interest rate environment), and offer very limited consumer protections. If you go into default, interest and penalties can rack up quickly -- and your wages, tax refunds and even eventual Social Security checks can be garnished. The other problem is that, while it's possible to negotiate a settlement on defaulted credit card debt -- often for pennies on the dollar -- without the threat of bankruptcy, it's impossible to negotiate student loan payments. Given that, would you be better off putting college on a credit card than taking out a private student loan? To be clear, Weston isn't suggesting that students do this. In an email, she emphasizes that students shouldn't pay for college with credit cards. "If you would need to borrow beyond the federal student loan limits, you probably need to rethink whether you can really afford the education you're trying to get," she says. Mark Kantrowitz of FinAid.org echoes Weston's sentiments. "Interest rates on credit cards and private student loans are often in the same ballpark (private student loans are perhaps a little less expensive)," he says in an email. "If you have no choice but to borrow private student loans, you're probably overborrowing and should consider switching to a less-expensive college." As Ron Lieber wrote in The New York Times, there is currently legislation before Congress that would make private student loans dischargeable in bankruptcy, just like most other forms of debt. Federal student loans aren't included in the bill, so if it does pass, the current wisdom that students should always borrow federal before private could potentially change. That will be especially true if the end of the Federal Family Education Loan program leads banks that were once reaping huge profits from those government-insured loans to step up and offer better terms on private loans. The problem for now is that private student loans still almost exclusively offer variable interest rates. The monthly payments look low at today's interest rates, but they could very easily rocket up. That alone will still make federal loans a much better bet for borrowers. In addition, private loans aren't eligible for most loan forgiveness programs or the new income-based repayment program. Bottom line? Never, ever, ever pay for undergraduate education with private student loans. If you've maxed out federal loans and still need more, you are over-borrowing and need to look at a cheaper college.